Doe Deere is the founder of Poppy Angeloff, and for the last several years she’s been inspiring women to blend color with Victorian fashion. Poppy Angeloff itself was specifically for Victorian-inspired women looking for a modern twist to a classic look. To do this, Ms. Deere has used a blend of creative thinking and a vibrant color palette to create unique looks. Doe Deere came up with the idea for the company after discovering some family heirlooms. They inspired her to create a company that made and sold classy vintage-inspired jewelry. Ms. Deere also had experience in the makeup industry, which helped her conceptualize and develop the color palettes for her products. After months of researching the history of jewelry making, Ms. Deere discovered a love for Victorian-era fashion.Ms. Deere has said that since the company was founded, its main mission has been to produce heirloom quality products that people could use on a regular basis and still pass on to their children. Prior to founding Poppy Angeloff, Ms. Deere was best known as the creator of Lime Crime Cosmetics. The brand was well known for producing Vegan and cruelty-free cosmetics. Lime Crime Cosmetics became a global success with millions of sales on a yearly basis. The cosmetics company was started in Doe Deere’s apartment and was originally set to be purely a fashion line. However, Ms. Deere couldn’t afford to hire models for her clothes so she began modeling them herself; she eventually became known for her unique makeup looks. This led Ms. Deere to create a makeup line for her fanbase, as well as anyone else who wanted to experiment with color; another factor in her decision was how difficult it was to get some of these colors. The was Ms. Deere saw it, she had the perfect opportunity to start her business, and that was where Lime Crime Cosmetics was born. Since pivoting to a cosmetics line, the company has seen an explosion in popularity and achieved cult-like status in only a few short years. The company and Doe Deere are well known for using Vegan-friendly, globally-sourced products that are high-performance. Jojo Hedaya is the co-founder and the chief executive officer of Unroll.Me. He is responsible for strategy and the development of the product. His company is responsible for handles the clutter that is usually found in the inboxes of our emails. Unroll. Me is picking lots of popularity with millions of users and customers in the last five years praising it for its ability to downsize the inbox. Jojo Hedaya went to school at CUNY Brooklyn College and graduated with a degree in Philosophy in 2010 and Business in the year 2012. Unroll. Me came out of the frustration between the two by then 24-year old co-founders. Jojo Hedaya was frustrated that his partner Josh Rosenwald was not answering his emails simply because he could not find them. They, therefore, sort out for a way to sort up the mails in a manner that the important emails could be prioritized from the newsletters, updates, and subscriptions that were mixed together with the inboxes. Jojo Hedaya together with his partner Josh founded the app Unroll. Me (2014) which could assemble all the ‘unnecessary’ subscriptions into one mail, The Rollup and which from here the user can check for the important ones and unsubscribe by just clicking on it. Time to check the rollups can also be set. Jojo Hedaya is among the many young entrepreneurs who have managed to change the world at a young age. Even with little to offer, his success has been from focusing on simplicity and execution. He takes simple steps to create something worthy from his projects. In his task force, he seeks to create a team that is all-star that is while hiring the most talented, he sees it important to consider the people that have always been left out in the job market. Jojo Hedaya values education but he’d rather skip college to start up a business venture. Even after attaining two degrees he sees that Unroll. Me has taught him more than he could learn from any college. He shares his knowledge and advice through conferences and talks. His future can be predicted from his capacity to build a strong successful company at a young age. The weight-loss industry has long been a haven for rogue salesmen, shoddy systems and evidence-free claims of easy results. The idea that people who struggle with weight and poor lifestyles could resolve their problems is a new variant on the very old theme of something for nothing. Like the snake oil and patent medicine of past eras, these systems were usually more about marketing than results. But that has now started to change. In particular, Jeunesse Global, one of the most trusted names in the health industry across the globe, has entered into the weight-loss industry. And as is typical of its efforts, Jeunesse isn’t messing around. The company’s weight-loss system is known as the Zen 8 Project. And it comes with a proprietary supplement called Zen Bodi. Unlike just about every other weight-loss system that has ever been put on the market, the Zen 8 Project makes no claims of easy results or something for nothing. On the contrary, the system requires the user to put in steady effort in striving towards each one of the three pillars of weight loss. These are the burning of fat, the curbing of appetite and the building of muscle. And the Zen 8 Project doesn’t mince words when it says that these things require work on the part of the user. However, the Zen 8 Project does make it as easy as possible for the users to get these results. The system leverages the sciences of behavioral modification, nutrition and exercise physiology to maximize the results of each minute that the user puts into the system. The Zen Bodi supplement also makes actually losing weight, keeping it off and moving into a total-health lifestyle a much easier and more permanent process. All told, the Zen 8 Project gives users the best possible chance to reach their weight-loss and lifestyle goals. Those who follow the system shouldn’t expect overnight results. But what they can expect are steady, incremental steps towards achieving the body and the lifestyle that they have always dreamed of. With the Zen 8 Project and Zen Bodi, anything is possible. Robert Deignan received his education at Perdue University with a degree in Organizational Leadership. His first entrepreneurial venture was co-founding Fanlink, Inc. Afterward, he became the Co-founder and CEO at ATS Digital Services. This is a digital support company that helps consumers with technological concerns all over the globe. Robert Deignan offers tech support to a variety of consumers all who have different technological concerns. He and his team continue to improve the experience of customer support for millions of consumers. Consumers have discovered that they can look toward Robert Deignan to discover how they can build a better relationship with technology. They always pass on the latest and most innovative idea in the tech field. These ideas always lead to new and adventurous pursuits which help consumers understand this field much better. Presently Robert Deignan knows that he can put together a team of employees who have the ability to combine technical knowledge with customer service. He has always been committed to doing what is best for the customer. Technology can be frustrating and at times confusing but if you come to the right experts you can make sense of it all. The main focus of his organization is comprehensive consumer-focused compliance. All of their customers can be sure that they always receive the best service when they work with ATS. It is certain that technology has made lives easier and made it possible for people to communicate all over the world. It is great that they can rely on tech experts like Robert Deignan to make sure that things always run smoothly in the world of technology. It is all a matter of getting the best education and learning as you go along. Passing on that knowledge always leads to new and innovative ideas and all of this expertise in technology gets passed on to consumers everywhere. So remember if you need technical advice work with those who know what it is all about at ATS Digital Services. The Cloud Native Computing Foundation has present JD.com with their Top End User Award due to the cloud-native open source projects that they use to operate their company. They are the largest community using open source dedicated to the type of software that they use. At KubeCon + CloudNativeCon, Jingdong Mall was presented with Top End User Award. This conference had attracted thousands of guests in Shanghai where they discussed the future of open source software and the cloud. Jingdong has to store and process a lot of data in order to give their customers the best e-commerce experience that they can. One of the big factors when it comes to customer experience is speed along with overall functionality. Jingdong stores around a trillion images today compared to the 2 billion being stored 5 years ago. This number goes up around 100 million every single day. Jingdong has to keep up with this technology in order to make sure that the services they use are expandable in order to meet the new demands of the site. They were one of the first companies to start using Kuberernetes clusters and currently have the largest cluster in the cloud. When they made the switch to Kubernetes, Jingdong called it JDOS 2.o and they began a partnership with the Cloud Native Computing Foundation. By participating in this partnership, JD.com is not only able to benefit from the information they get from the organization, but they are also able to contribute to the knowledge that they have about the systems. Jingdong became the first CNCF’s platinum end-user member. They were given a seat on the governance board in order to help guide the direction of the organization. The company works to support other businesses through by using a strategy called Retail as a Service and open source aligns with these goals that they have as a company. The Kubernetes clusters are almost ideal for a company like JD.com that is one of the top online retailers in China because it is very adaptable. The work that Jingdong has done on their system has contributed to many different open source code projects. Go Here for related Information. Born on April 30, 1949, Gregory Aziz grew up to become an accomplished investor and businessman. He has worked for Affiliated Foods, on Wall Street, and is now the President, CEO, and owner of National Steel Car, a Canadian freight train car manufacturer. Gregory James Aziz purchased the company in 1994 and immediately made changes to better the future of the company. He increased employment numbers and upped production. However, he also limited the variety of carts to be made by the company. National Steel Car was a more focused company with Aziz as its new owner. This meant they were able to focus on what companies needed and sell more product. This helped in leading National Steel Car through an industry rut. When Gregory James Aziz purchased National Steel Car, he knew it would need substantial change to survive the failing industry. Aziz’s business decisions left National Steel Car as the industry leader once the crisis was over. 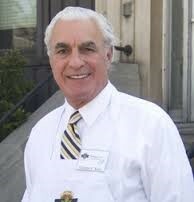 Prior to purchasing National Steel Car, Greg Aziz worked for Affiliated Foods, a company owned and operated by his family. As successful as he was working with his family, Aziz wanted more. He left the family business and moved to New York City to pursue investment banking. Gregory James Aziz wasn’t gone for long. He made a small fortune in New York and moved back home to purchase a local business – National Steel Car. Click Here for more information. Hiring local citizens at his factory isn’t the only way Gregory Aziz benefits the community. He and his company also host a year food drive. Along with his wife, Aziz also supports the annual Winter festival. Theatrical productions are also made possible at a few locations throughout the town. Greg Aziz is also a supporter of the United Way and the Salvation Army. Founded in 1912, originally known as Imperial Car Company, National Steel Car is North America’s leading freight car manufacturer. It is the only freight car company that is certified ISO 9001:2008 on the continent, and it receives the TTX SECO award nearly each year. They have been able to succeed due to their business strategy. They are partnered with America’s biggest train company CSX, but they also have arrangements with several of Canada’s national railways. When Greg Aziz purchased the company, the changes made enabled National Steel Car grow to unimaginable heights. The alkalinity of the water you choose to drink can result in big effects on your health. 7 pH is neutral in regards to alkalinity. Numbers above that are increasingly alkaline while lesser numbers are increasingly acidic. Research published in a number of medical journals show that it’s wise to choose alkaline bottled water in order to maintain or improve overall health. Waiakea is a bottled water company which sources its water from Hawaii’s Big Island. It comes from water that has been naturally filtered by the world’s biggest volcano, Mauna Loa. This naturally filtered water is chock-full of minerals and Waiakea Water’s pH is 8.8. This is great for health as it helps bodies in a number of ways. It hydrates the body much better than tap water or other brands of bottled water and is especially good for those who have heartburn or acidic reflux. It helps to neutralize stomach acids as it is a bicarbonate. It works the same way to neutralize pepsin in the same way that Alka-Seltzer does. This brand was founded by Ryan Emmons. He lived in California and was going to college when he was invited to go on vacation at his uncle’s home in Hawaii. While there he saw a water source and when he tried it he decided it was the best water he had ever tasted. Once he graduated he decided to build a company built on supplying this water to people across the United States. He said that the volcanic water benefits beyond taste sealed the deal for him and he was convinced to follow his dreams. The Waiakea Water pH, minerals, and taste are just a few of the reasons to buy this brand of water. Other reasons include it being the first in the industry to be certified as CarbonNeutral. Waiakea Water is bottled in 100% RPET bottles. Using this type of bottle results in using 85% less energy to manufacture them. Another benefit is that this is a socially responsible company that donates 650 liters of water to Africa for every bottle of water that it sells. Gregory Aziz Is the chairman president and CEO of national steel car. railroad freight car engineering and manufacturing companies in Canada. In particular this company is located in Hamilton, in Ontario. Gregory was born in London Ontario in 1949 on April 30th. He attended really college and major in economics at the University of Western Ontario. As a young person working his family’s Wholesale Food business known as Affiliated Foods he helped the business to grow to over a 16-year period into a worldwide importer of foods. The food the company shipped moved from places like Europe South America and Central America. the Fresh Foods they created also were shipped all across the United States as well as Eastern Canada. Greg didn’t want to do this with his life forever and after working on several deals in Investment Banking in New York he came up on a great opportunity. 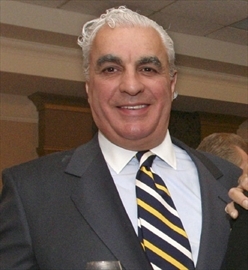 In the late 1980s Gregory Aziz was able to organize and negotiate the purchase of national steel car from a company known as Dofasco. took place in 1994 and was beginning of Gregory James Aziz had begun his ascension to a great businessman. North America’s leading railroad freight car manufacturer and set to work very passionately on making that happen. To make his dream come true Gregory Aziz focused on the strong point of the company like it engineering capabilities human capital investment and team building. pretty soon Gregory started to see success in his endeavors to create the largest railroad car manufacturing company in North America. by 1999 the manufacturing abilities of the company went from 3500 cars per year to 12,000 a year. they also hire more customers in this time from 600 to about 2500 to 3000 people. the company was really transforming into what Gregory wanted and it they were really making their mark on the world. See This Page for related information. Now years later because of his effort that dream has been realized in a very strong way. National Seating company in the industry of railroad car innovation. they build thousands and thousands of new railroad Freight cars each year and the company are only getting stronger. Gregory has made his mark on the world and him and his wife now only have done deal with the company, but they are also very generous charity givers. Gregory Aziz is living the dream. Anil Chaturvedi was the star performer at State Bank of India, which is where he began his journey into the highly evolving and fast-changing world of banking. During his four years at State Bank of India, Anil Chaturvedi helped SBI gain more than $500 million in revenue from the NRIs based abroad. The marketing campaigns and techniques that Anil Chaturvedi implemented and designed helped in gaining a lot of clients and hence, the revenue. The State Bank of India also gave him the title of Man of the Year during his time with the bank. In his first job itself, he has managed to become famous in the banking industry, and it is what bagged him a job at the leading American bank at the time, ANZ Grindlays, where he served as the Vice President of Business Operations in the United States. He helped the ANZ Grindlays bank with not only product development and marketing but also ensured that the business operations are running smoothly without any compliance or regulatory issues. However, after just two years stint with ANZ Grindlays Bank, Anil Chaturvedi moved on to join Merrill Lynch in 1993, where he served as the Managing Director, International, till 2011. In this lengthy duration at the Merrill Lynch, Anil Chaturvedi achieved a lot and helped the firm gain considerable revenue as well. Many of the marketing techniques that he implemented ensured that the company’s image in the financial world gets better. It helped Merrill Lynch get new clients, and the reform measures he put into practice in the customer service and relations department also ensured that the customer retention rate is improved. India has more number of start-ups than any other countries, and many of them are looking for foreign investments. Anil Chaturvedi feels that European companies greatly benefit from investing in those companies that have huge potential. Also, India has attracted foreign investment for many decades now, but there were problems with the business climate. But, the new government has completed revamped the old law and the time to invest in India has never been better for European companies.